Sticky Tender Asian Chicken Thighs smothered in a sweet and spicy Asian inspired sauce. Juicy, tender and loaded with flavor! Why has it taken me so long to make chicken thighs?! I’ve actually never prepared them before and almost always reach for chicken breasts when at the grocery store. I decided to give them a try and was pleasantly surprised by the outcome. The great thing about chicken thighs is that they have a bit more fat than chicken breast which means juicier chicken. They are also harder to dry out then a chicken breast making them virtually fool proof. And if you choose bone in (like me) it adds a lot more flavor. I brown the chicken in a super hot pan before it goes in the oven. This gives it a nice caramelization and crisp on the outside. I did end up with some grease in my pan (because of the skin). Drain the oil out of the pan or dab it with a paper towel to get the excess oil out. You can use skinless chicken thighs to combat this. I personally prefer the skin. The chicken gets coated in a sticky asian style sauce. Sweet with a hint of spice. The sauce is made with soy sauce, sweet chili sauce, sriracha, ginger and light brown sugar. This dish comes together in about 45 minutes. While I am searing the chicken I whisk together the sauce and preheat the oven. The chicken takes about 25-30 minutes in the oven. Serve with a side of veggies and rice. This dish is worth turning on the oven for! 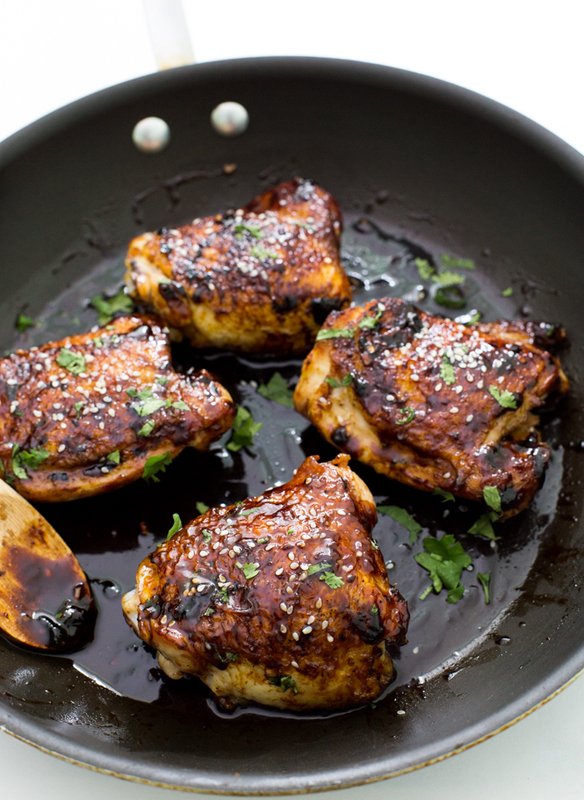 Love these Sticky Asian Chicken Thighs? Here are some more chicken recipes to try! Once the pan is nice and hot add in the chicken skin side down. Cook until the outside is crisp and caramelized, 3-4 minutes on each side. Meanwhile whisk together, soy sauce, sweet chili sauce, sriracha, ginger, brown sugar, vinegar and garlic. Add it to the pan with the chicken and turn off the heat. Place in the oven and cook until the chicken reaches 165 degrees. This takes about 25-30 minutes. Serve while hot with sesame seeds and parsley for garnish, if desired. Kelley, these chicken thighs look awesome!! 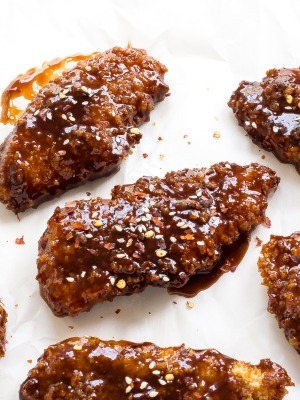 I love a good asian sauce, and I can just imagine that the sticky and sweet sauce combined with the juicy, crisp chicken is fantastic <3 Love this! This chicken looks so tender, juicy and delicious. 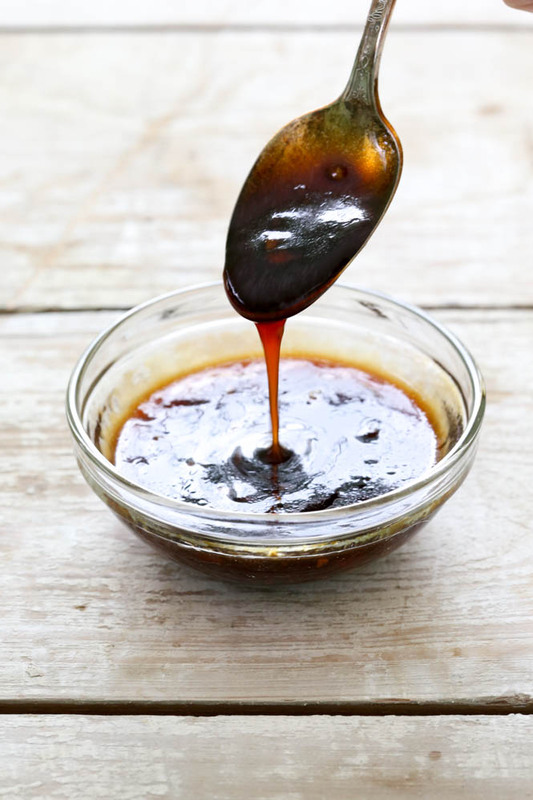 I can never go past a good sticky sauce recipe either and this one is definitely saved to trial. I love chicken thighs, but always forget to buy them! I end up just grabbing chicken breasts out of habit. I can’t wait to try this – the sauce looks so flavorful! You do not cover the chicken in the oven. Hope you enjoy! Chicken thighs are my favorite, but I often opt to cook with chicken breast because the hubs is Nuts-o and prefers the lean white meat. (<–No counting for taste right?! Lol) These sticky thighs look absolutely DELISH! So.Much.YUM! Perfection, my dear! Pinned! Cheers! This chicken looks perfect! Love the sauce! Pinned! These are the best thighs I’ve ever seen! 🙂 That sauce looks incredible too. I need to add these to my dinner menu soon! Yum! These things sound so flavorful, Kelley! Love the asian flare! Oooh yes, I love chicken thighs! We used to only cook with chicken breasts but now I’ve switched allegiances. I love this sticky sauce- yum! Oh wow. These seriously look to die for! 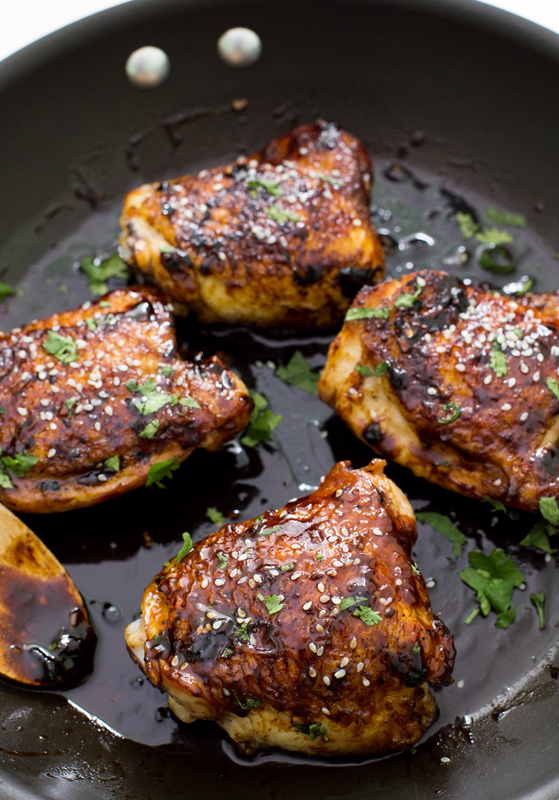 I need to try some chicken thighs too and this is the perfect recipe too start with! 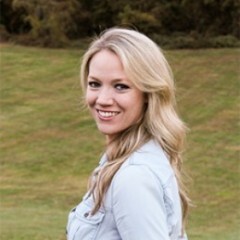 These look so incredible, Kelley! Love the sticky sweet and spicy sauce! 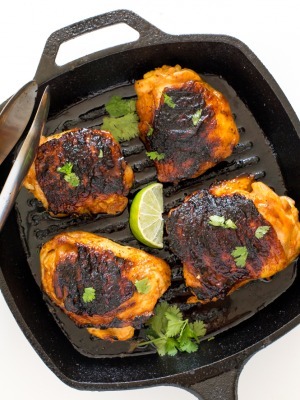 I think these chicken thighs just stole my heart!! So juicy and sticky and freaking amazing looking… YUM!! I love your recipe and have made it using thighs. Now I need to try it with drumsticks and breasts for fussy friends. Any idea of cooking time for the legs and breasts? I am so happy you love this recipe. It should actually be around the same cooking time for the legs and breasts if they are still together. They may take 5 or 10 more minutes. I would just check after 30 with a thermometer and take it out when it reaches 165. These are delicious! I subbed a small bit of hoison for the sweet chili sauce and upped the amount of sriracha. 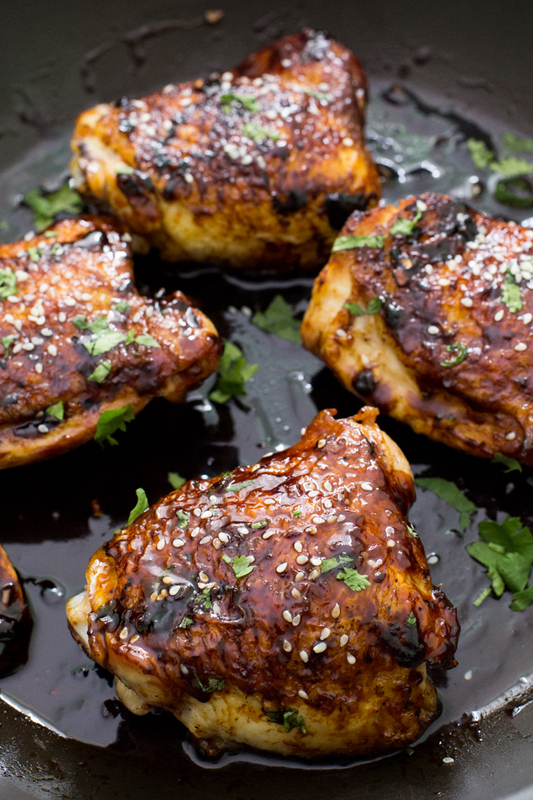 The thighs are so juicy and flavorful! Made these tonight and O M G! That sauce is such an amazing combination of sweet and savory I can’t even describe. Everyone loved. This recipe=KEEPER! Thank you so much for sharing! So glad you enjoyed this! Thanks for sharing!! So glad you enjoyed this!! Thank you for sharing!! So… I saw this and had to make it right away..OMG.. do it ..make it..you wont regret it! Reminded me of VH sticky rib sauce. Will “go to” this one again and again I’m sure. If I were to use boneless chicken thighs, would it work if I just thickened the sauce in the pan? I think if I put them in the oven for that long, the chicken would get really overcooked. Yes this would work! I just would not cook as long. Doesn’ look like enough sauce. Next time I will triple it!